flit & fly: Meet me at School! 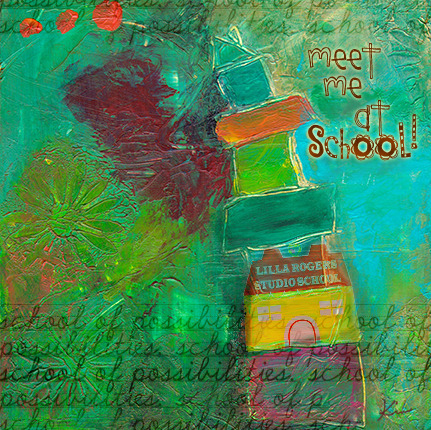 In one week I will be participating in The Lilla Rogers Studio School “Making Art that Sells” online course. Lilla Rogers represents around 40 highly-regarded artists—these are artists who make my heart s-i-n-g! She has made their careers soar and I feel it is such an honor to be among those who are taking her course. Oh, it is so exciting! I have butterflies in my tummy—just like I did on my first day of kindergarten. Today, I feel like I am standing on the edge of possibility. And, I can’t wait for the first assignment. I wonder how my art and my style will grow… .